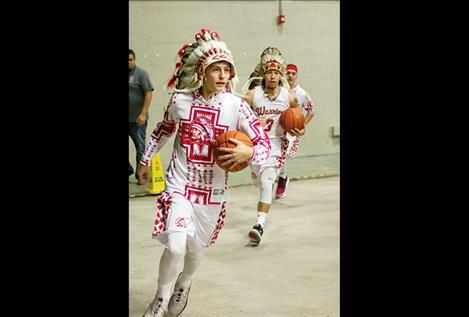 ARLEE – After pushing play on the new Arlee Warrior Basketball video, you’d expect to see some amazing ball skills from the two-time state champions, but this time it was what the team said that made people misty eyed with pride. In the video, the team gathered to ask people to join them in a battle against suicide. Jordan Lefler, the team’s video director, recorded the first message just before the team won the Western C Divisional Tournament on Feb. 24 at Hamilton High School. “We, the Arlee Warriors, are dedicating this divisional tournament to all the families that have fallen victim to the loss of a loved one due to the pressures of life,” Warrior Phillip Malatare said in the video. The team reached out to the youth on the Flathead Indian Reservation imploring them not to use suicide as a solution to their pain. “We want you to know that we stand together with you,” Warrior Isaac Fisher said. 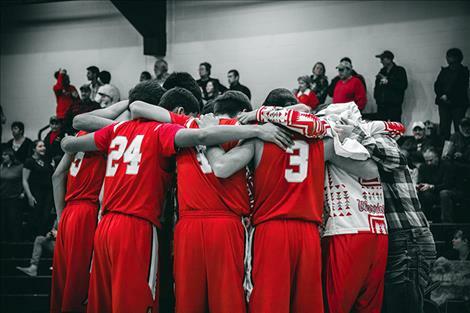 The message was the team’s way of reacting to what they say is a regular occurrence of attempted or completed deaths by suicide on the reservation, and those observations are reflected in state statistics. Montana has persistently ranked in the top five for suicide rates in the past 40 years, according to the Department of Public Health and Human Services. The state’s Suicide Mortality Review Team found suicide to be the second leading cause of death in the state for ages 10 to 25 with a higher risk for males. In 2015, 29 percent of high school students in Montana reported they felt sad or hopeless almost every day for two weeks. According to the latest research compiled by the team for 2014 and 2015, the highest rate of suicide in Montana is among Native Americans. Arlee basketball head coach Zanen Pitts said suicide on the reservation is a problem impacting many people including his team. “These boys know death,” he said. The coach said there probably isn’t one perfect solution to help prevent suicide, but maybe it’s time for the kids to hear from other kids that suicide isn’t the answer. Lefler created many videos for sports teams in Arlee including end of the year highlight clips. When the team asked him about creating a suicide awareness video, he was all in. 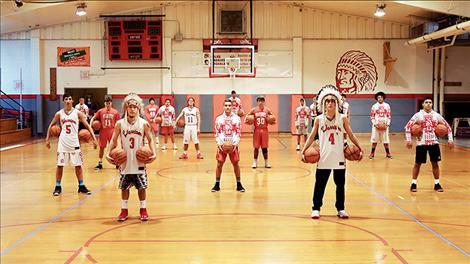 He layered the first video with music and text before uploading it to the Arlee Warrior Basketball Facebook page. Lefler said within hours it had 3,500 views, and within a week 138,000 people watched it from all over the country, and people left hundreds of comments. Lefler helped the Warriors develop a second video to dedicate to the Western C State Championship game to continue the battle against suicide. 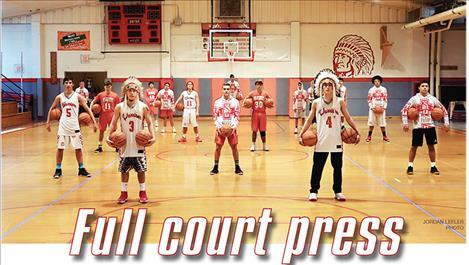 In the second video, the team gathers on their home court and works the ball through a couple drills while sharing their message. The team says kids are being bombarded with messages through technology making them feel like they don’t measure up. They say many kids are bullied or made to feel like others have the perfect life, which leads them to a feeling of hopelessness and thoughts of suicide. The video ends with the National Suicide Prevention Lifeline where individuals and families can find someone to talk to or resources at 1-800-273-8255. Greg Whitesell, Arlee Warrior, said he was honored and proud to share the team’s suicide prevention message. He said he hopes hearing the message from teenagers helps make it relatable for younger generations. 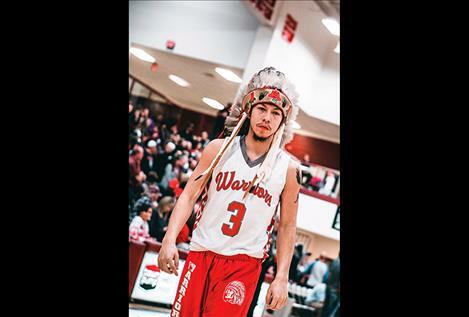 Warrior Darshan Bolen said people struggle with all kinds of things, but if they want to play basketball or anything else, and they don’t because they feel like they are not good enough, they should reconsider. “You don’t have to be great, just get involved,” he said. Cody Tanner, another Arlee Warrior, said suicide is a hard thing for families to experience and they never forget it. He wishes people would find another way out when they are feeling bad. 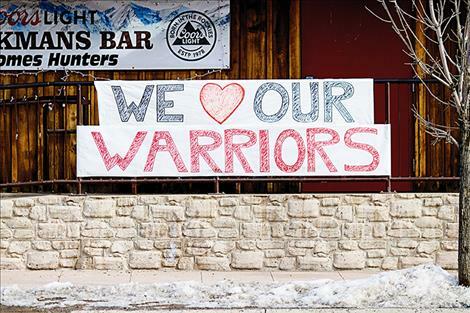 The Warriors’ message seems to have struck a chord with the entire nation. Their second video, which also went viral, amassed more than 807,000 views and 30,937 shares within the first week after it was posted. Messages of support and encouragement have been made from people in states across the nation including California, Oklahoma, New York, Texas, Oregon and others. 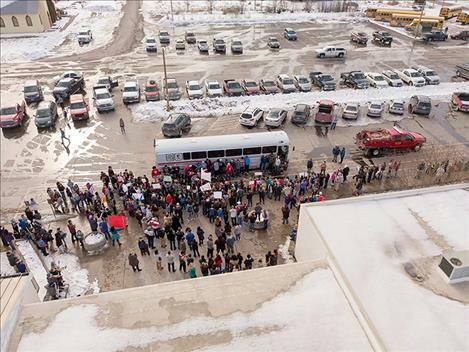 Montana Senator Jon Tester even shared the video and made a comment. The Montana Chapter of the American Foundation for Suicide Prevention honored the team for their suicide prevention work with a certificate of appreciation.